Less than one month after celebrating his 86th birthday on 16 December 2013, former parliamentarian Dr Raphael Fletcher passed away on 9 January 2014. 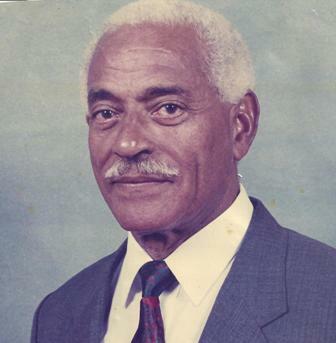 Fletcher, who was ailing for some time, served in the Parliament as the representative for the constituency for the Town of St George as the candidate for the New National Party in the General Elections of 1995. At swearing in of the then cabinet, he was announced as a minister without portfolio, but within months he was appointed to serve as the Minister for Foreign Affairs, Legal Affairs and Local Government. Fletcher was a physicist and university lecturer in the Caribbean and Libya before entering politics. He resigned from the Government during last quarter of 1998 and joined the Grenada United Labour Party, but his action resulted in the then Prime Minister Dr Keith Mitchell calling General Elections for 19 January 1999. This was the first time the NNP won all the 15 seats in the parliament, resulting in Grenada not having an official opposition for the first time. His political life is known to have begun in the 1980s when he formed the Grenada People’s Movement. His last public political appearance was during the 2008 general elections when he made a public appearance on the campaign platform of the NNP. Since then, he became recluse from active politics and public life. Fletcher will be buried on Friday at the St George’s cemetery following a tribute and funeral service at the St George’s Cathedral of Immaculate Conception. As a former parliamentarian, the regulations provides for him to be afforded a state-assisted funeral.